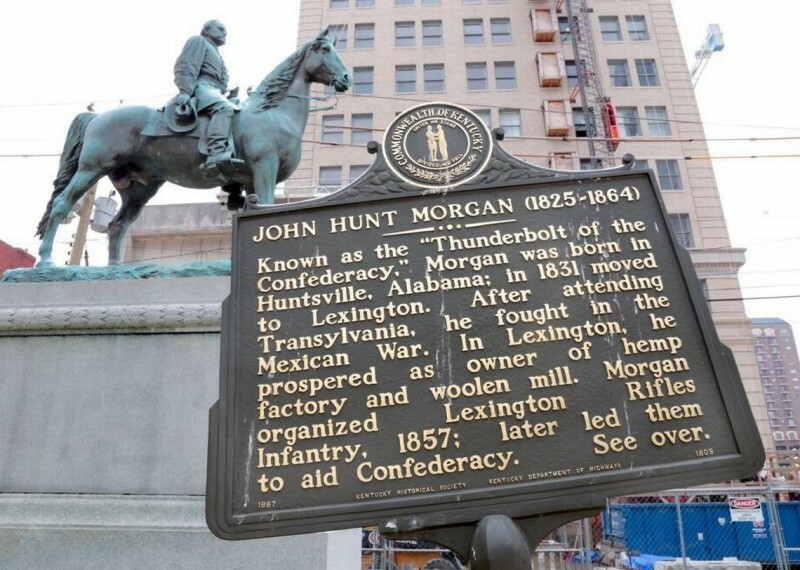 Early next week the Lexington Cemetery Board will consider the recommendation from the Lexington City Council to relocate the controversial statues at Cheapside to the Cemetery. Here's the letter I sent to the board in support of this action. Please pray for wisdom, compassion and fairness to undergird all decisions that guide the peace and well-being of our city. I’m writing in support of our city's recommendation to remove the statues located at Cheapside to the Lexington Cemetery. Every time I have needed to conduct a funeral or to be upon the hallow and sacred grounds of the Cemetery, I have been overwhelmed with its beauty. No matter the season or what nature offers us from above, the Cemetery has revealed the serenity and wonder of the presence of God. As you consider this important issue, I hope you will not be swayed by great conflict or fear, but step out with courage and resolve in recognition of the unique and powerful role you might play in bringing compromise and resolution to a persistent concern within our city. When I have thought and prayed about this issue, I have wrestled with myriad implications and feelings; concerns of history and heritage, racism and equality and our common civic responsibility to be neighbors and friends to one another. My search brings me back to the same conclusion. What I think is not the primary concern. What does matter to me are the friends and colleagues of the African - American community, individuals I have spoken to about this concern, those I call colleagues and brothers and sisters in faith. They are uniquely qualified to speak to the shameful past of Cheapside and the experience they have encountered by some in our community that continues to treat them as second- class citizens. Obviously, the statues are not the primary cause of all these ills. Yet, the prominent placement they command at the heart of our city has added to the harm and hurt felt by many of them and has contributed to a climate of neglect, callousness and cultural- blindness we now have a moral duty to alleviate. Should the Lexington Cemetery take up this charge? Would you be opening yourself up to similar criticism? Likely, you have already received some. But, avoiding this issue or denying this request doesn’t solve the problem or absolve the board of their role and responsibility in allowing this change. Whatever the decision, serious consequences will result. The question I pose before you is what might cause the least amount of harm and what might promote the largest amount of goodwill, for all concerned? Perched high above the Cemetery is the statue of Henry Clay, the “Great Compromiser.” Now, you have the opportunity to follow his great tradition and help bring clarity and resolution to an issue, that if nothing is done, will only return again and again, causing more hurt and unrest. I applaud your willingness to address this issue, to offer a fitting compromise and do what is best for all in our beloved community.